Sometimes the best-laid plans are meant to be derailed. 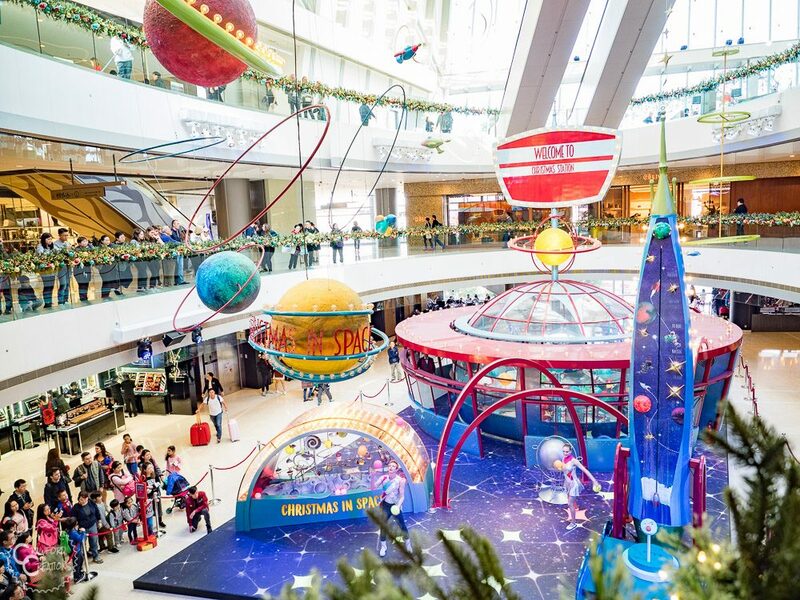 It was a happy accident that we ended up in Hong Kong on Christmas Eve, just in time to take in all the magical Christmas joy. Apparently, they do. And it’s a bit of a spectacle. 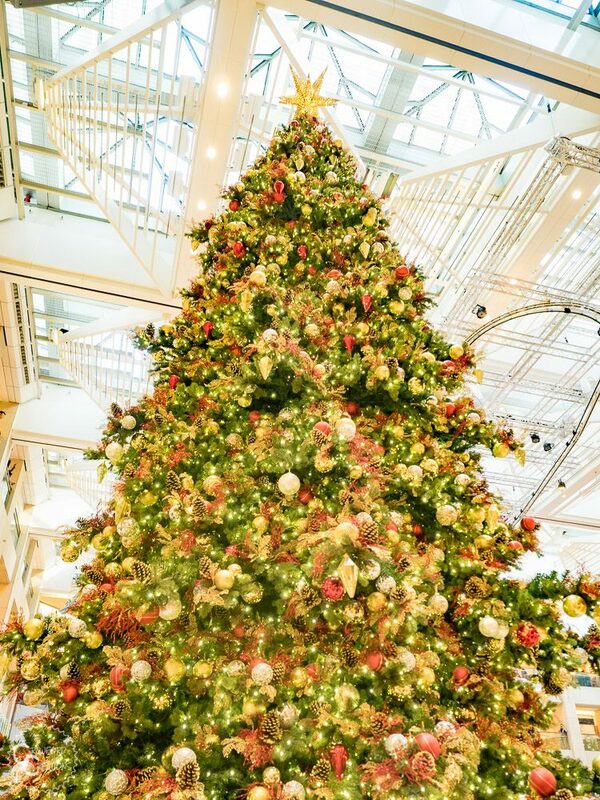 Lights, elaborate displays, Christmas trees, carolers, the whole nine yards. I was hooked. 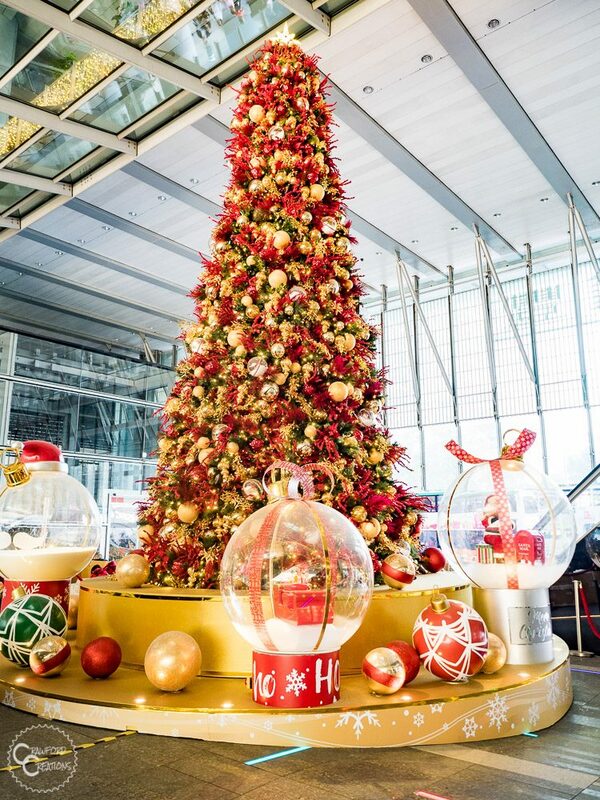 Honey, scrap the quiet Christmas at home, we’re going to Hong Kong. And go to Hong Kong we did. It was incredible! Crowded, but incredible. We saw all the major Christmas displays and lights on Hong Kong Island, including three different song and dance performances, 5 ginormous Christmas trees, found Santa, ate REAL ICE CREAM from Emack and Bolios (we got the smoreo flavor, highly recommend), saw skyscrapers decked out in Christmas lights, the Aqua Luna with red and green lights on her sails, and a special Christmas light show on the ICC Tower. 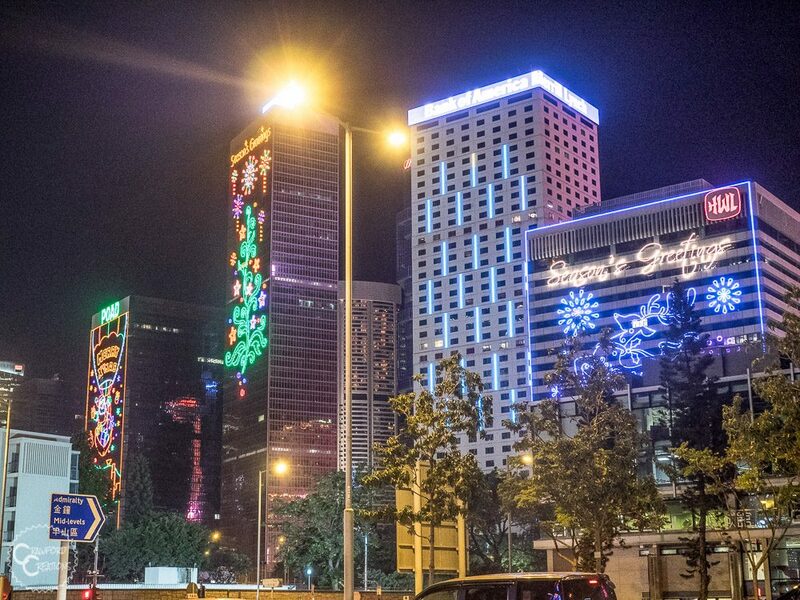 Hong Kong, your Christmas decorating is on point! And we only saw half of the Christmas goodness. 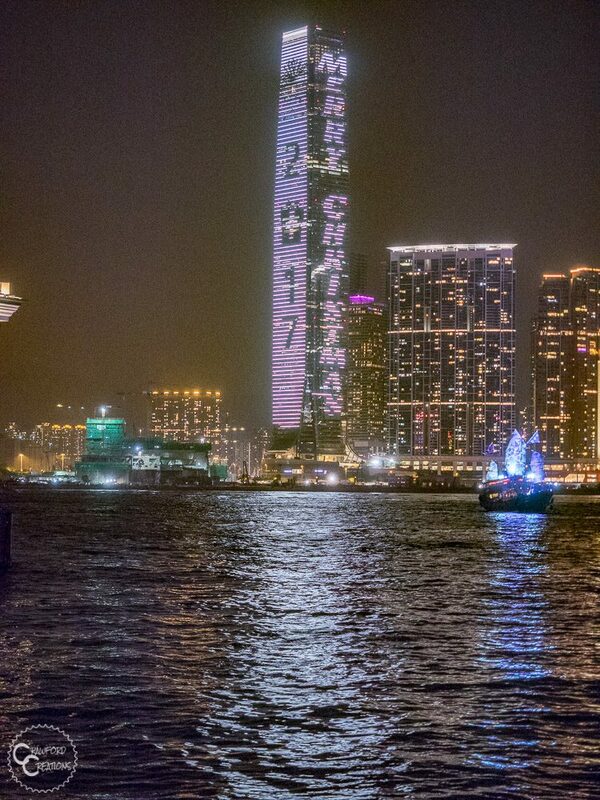 The other half can be found on Kowloon Island, just a couple metro stops across the pond. 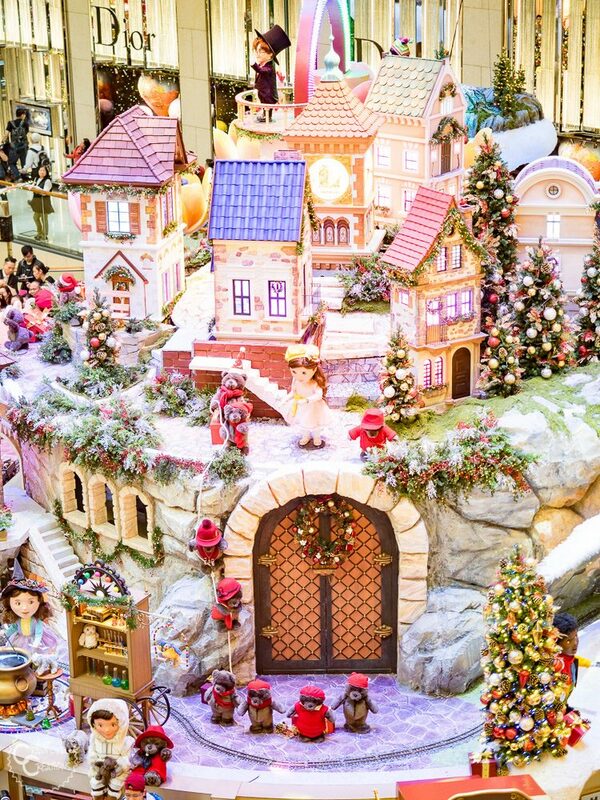 To find Hong Kong’s Christmas spirit, we followed this super helpful map from Hong Kong Traveller that marks all the Christmas displays in the city. Here’s what we saw. 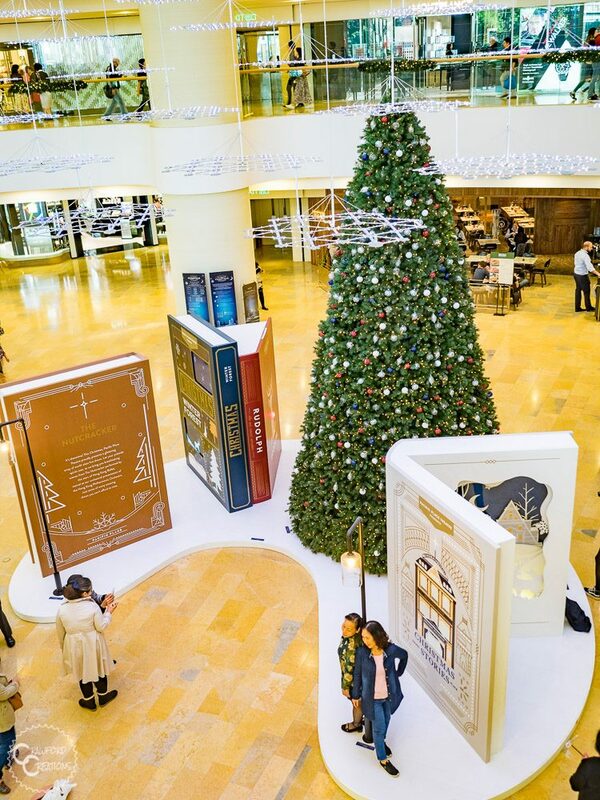 The photos below are from the 2017 Christmas season. 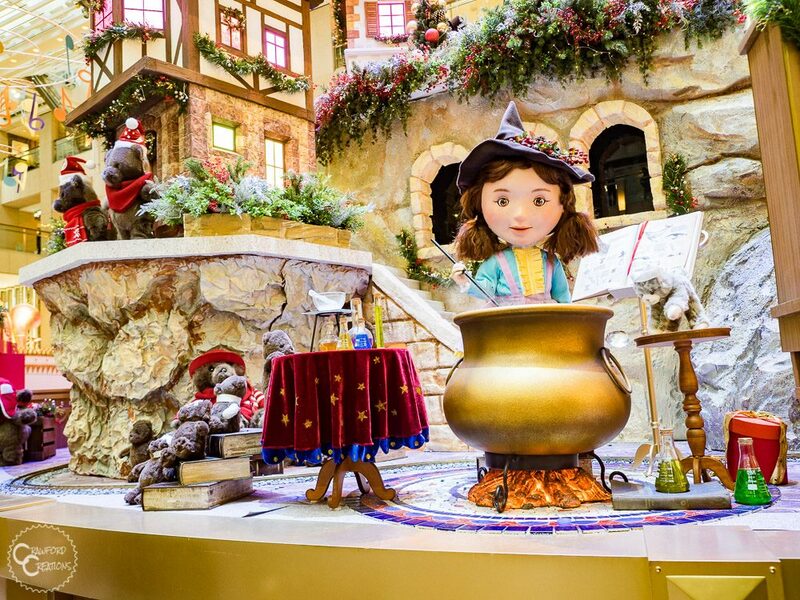 All Christmas display locations on this walking tour are exactly the same for the 2018 season as they were when we went last year, however, the themes of the displays change from year to year. The ferry port where we enter Hong Kong from the mainland is actually connected to the IFC Mall via an elevated walkway, so we started here, and worked our way down the island. 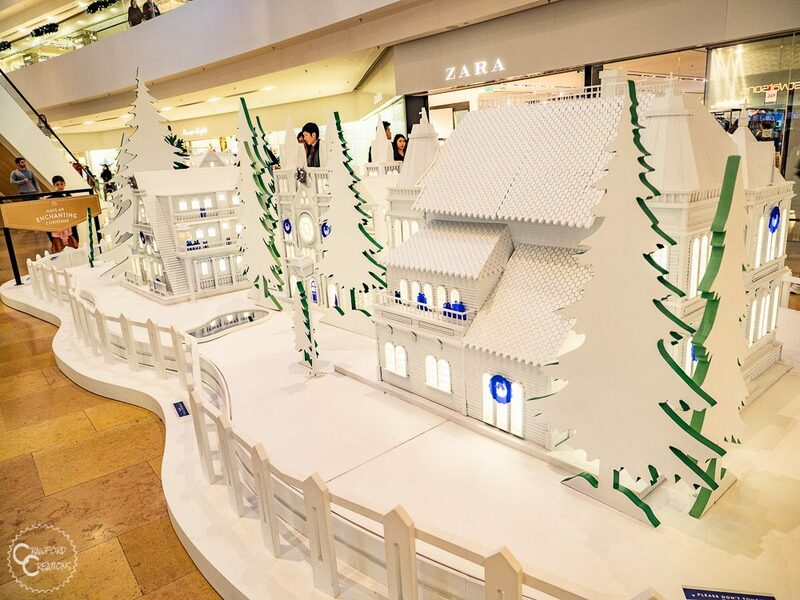 IFC has a different theme for their Christmas display every year. 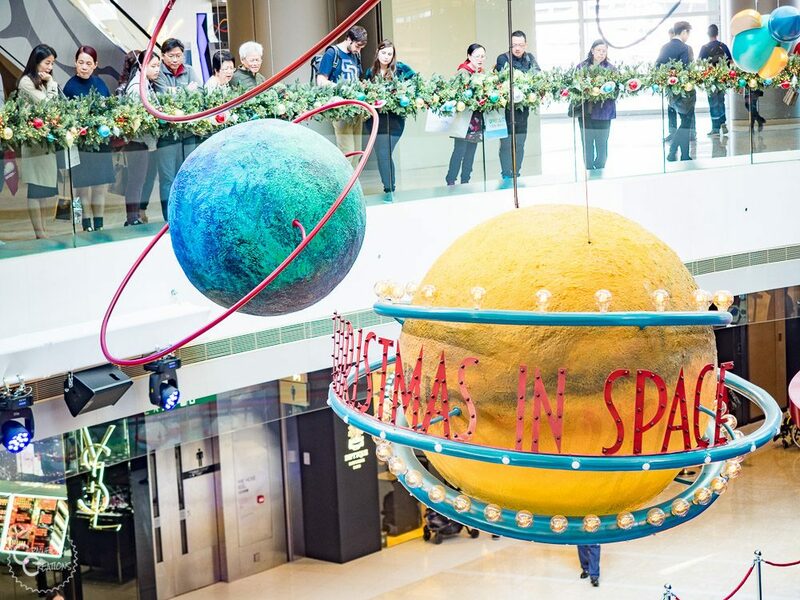 The 2017 theme was space. 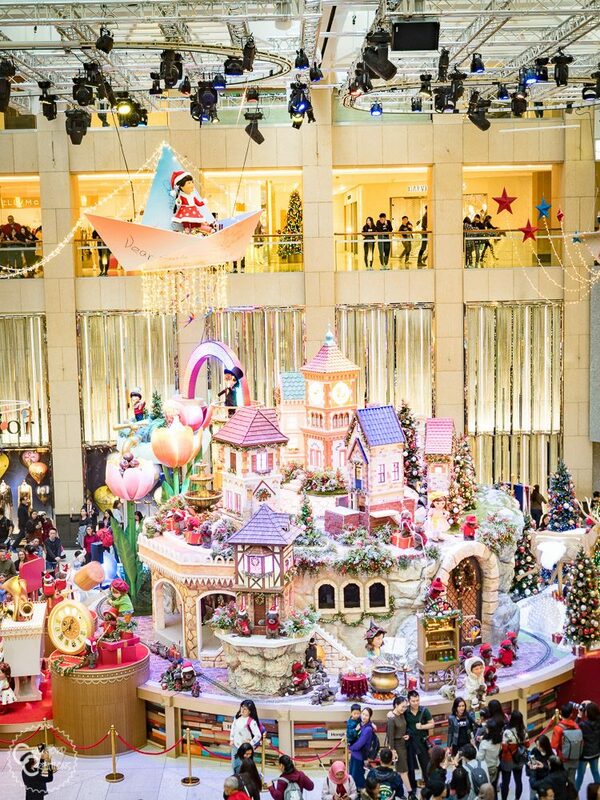 At the IFC Mall their Christmas display is interactive with performers in costume dancing a doing tricks for the crowd at certain intervals throughout the day. 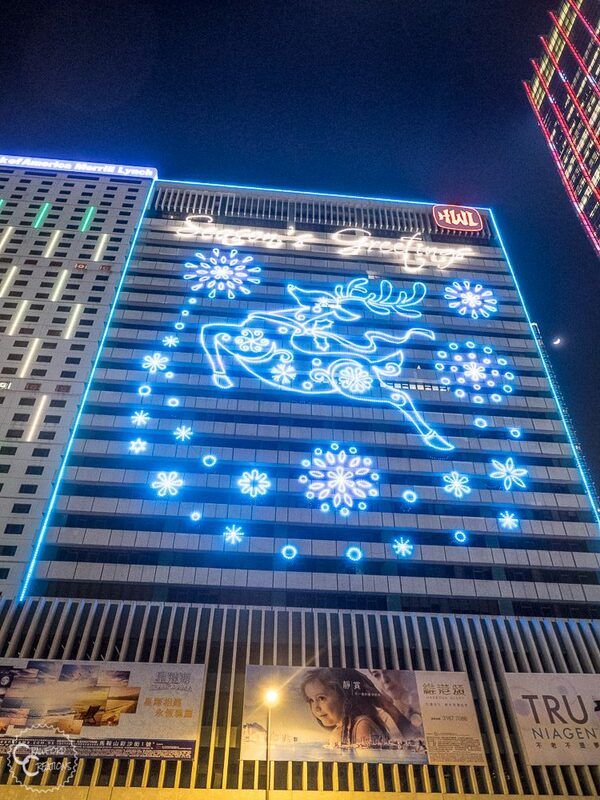 The Landmark had by far the most impressive Christmas display. Not sure what’s up with the witch brewing potions though…I guess witches celebrate Christmas too. This was a pleasant surprise not on the map. We found it walking through a covered connection between two buildings on our way to see the Statue Square Christmas Tree. 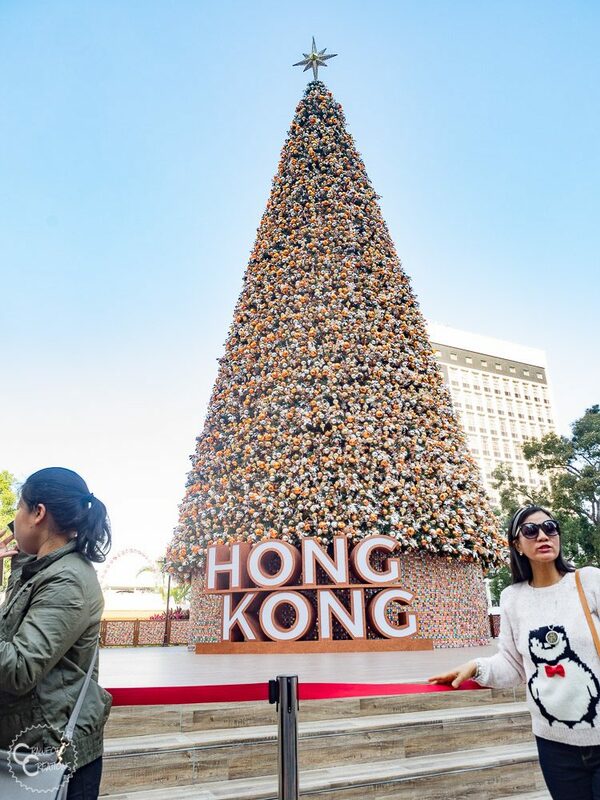 Statue Square is a must-see Christmas Tree hotspot in Hong Kong. With its popularity comes a crowd, but it’s definitely worth checking out. Statue Square is also the only Christmas display that’s outside. 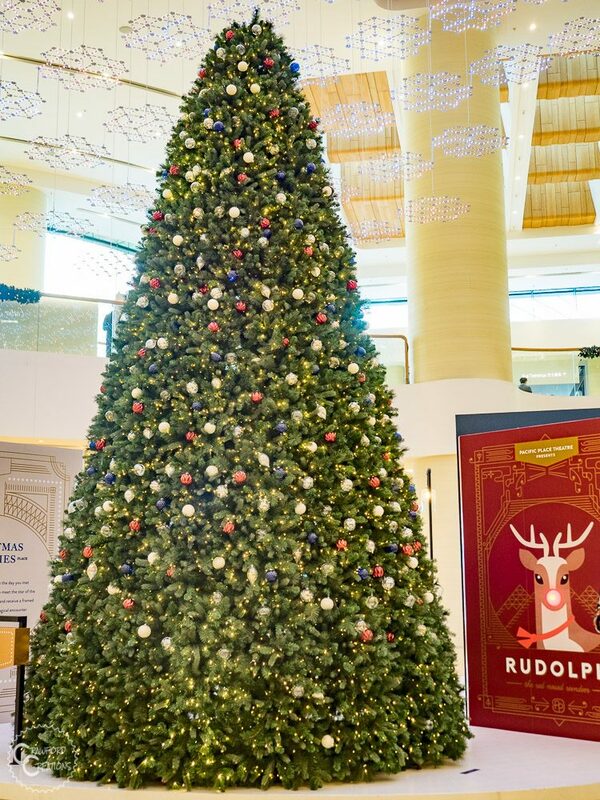 Pacific Place had yet another towering Christmas Tree, but that wasn’t the exciting part, the exciting part was Santa Claus!!! 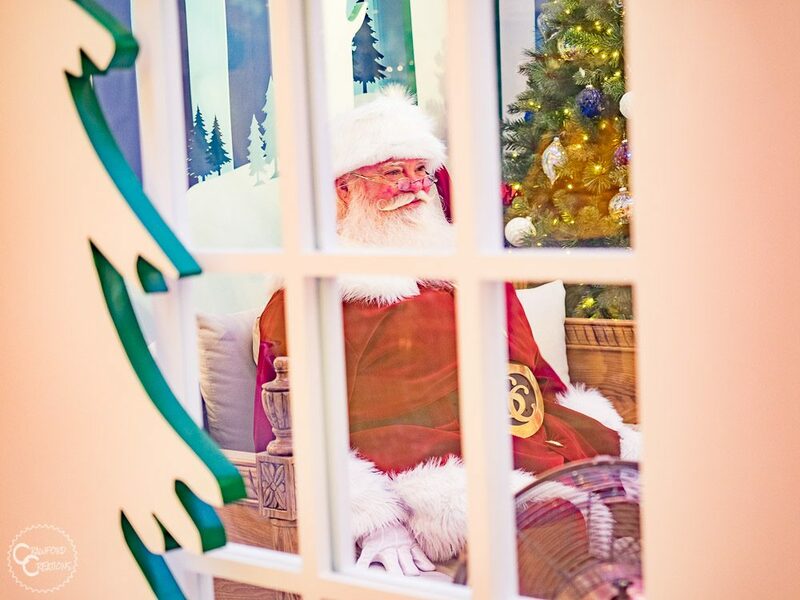 We found Santa in his hut waiting to take Christmas wishes from a line full of children. 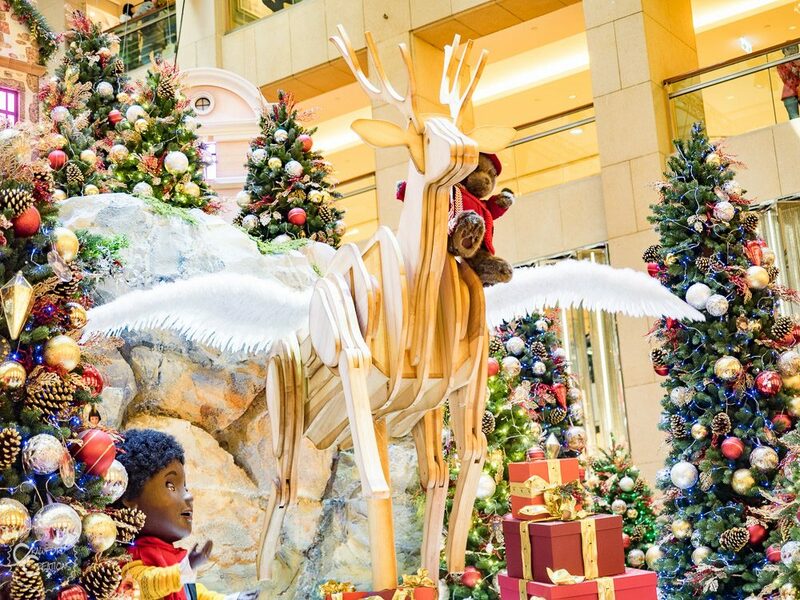 The big man himself made it all the way to Hong Kong for Christmas! 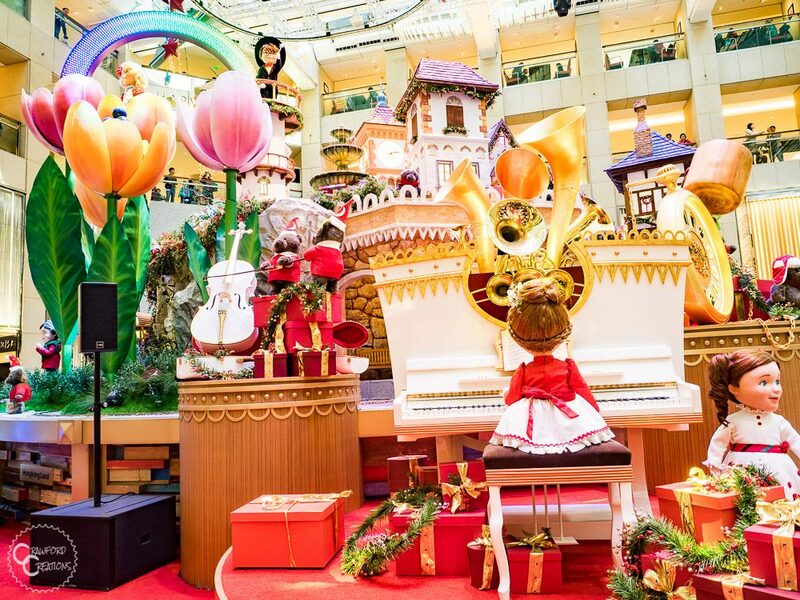 Pacific Place also had various musical performances on stage in the center of the mall throughout the day. 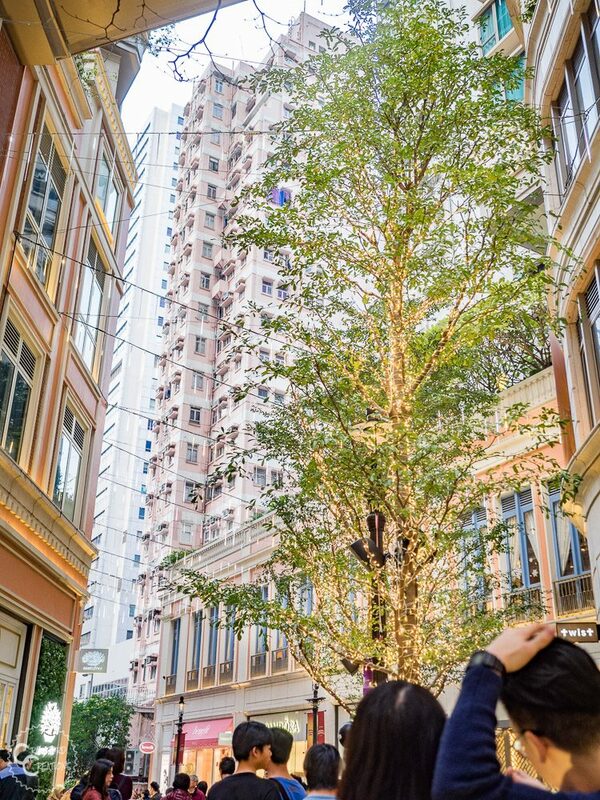 Lee Tung Avenue is a pedestrian street turned magical Christmas wonderland. Lights are strung between the rooftops, every inch of the trees are wrapped in lights, there’s a giant Christmas tree, plus a stage with Christmas carolers singing the day away. 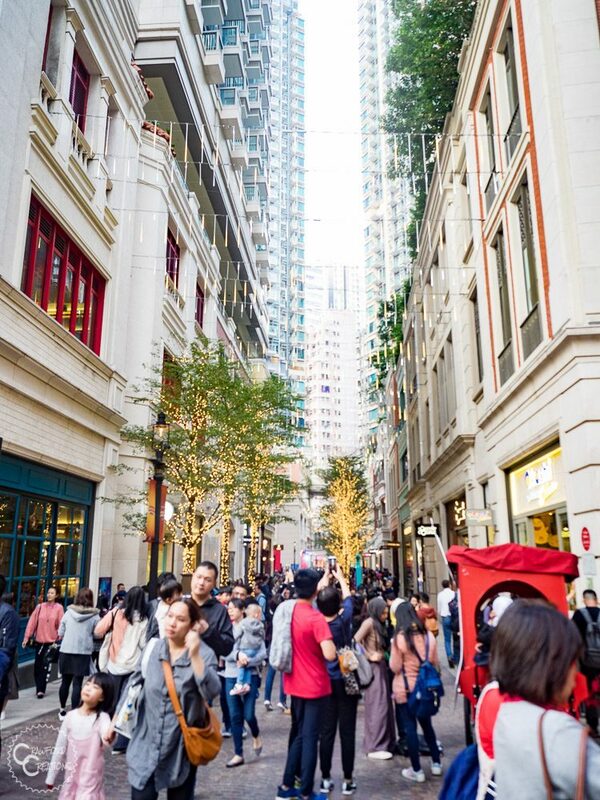 Lee Tung Avenue is also the street where you’ll find the famous Emack and Bolios ice cream parlor. Straight from NYC to Hong Kong serving real American ice cream with all the toppings and crazy cones you could ask for. It comes at a price, but the servings are pretty big. As an ice cream obsessed and deprived American I thought it was totally worth it. A great Christmas Eve treat! Honestly, we thought the Christmas display at Times Square was a bit disappointing, hence only one photo. Their theme was Snoopy Christmas, which seems like it could be cute, but I think it just wasn’t Christmas-y enough for us. 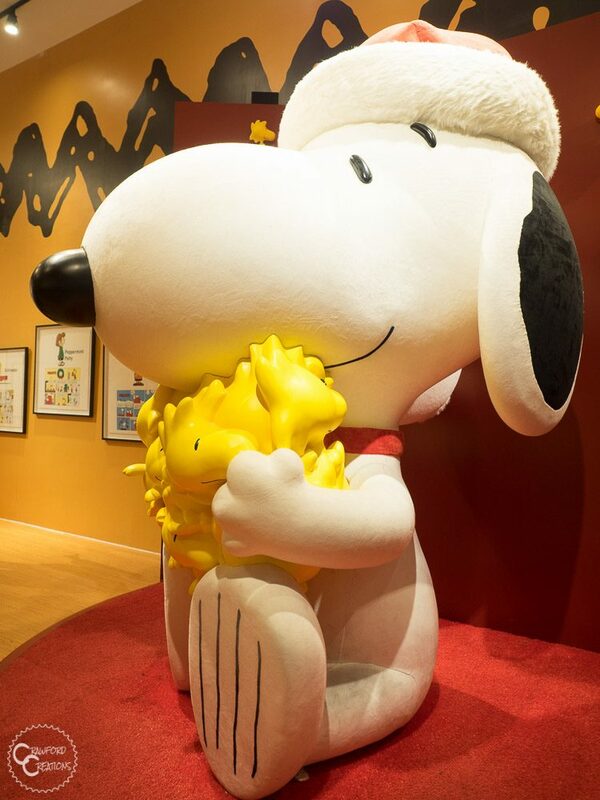 It was just the snoopy pictured wearing a Santa hat and displays of old Charlie Brown Christmas comics on the walls. The comics were cool, but it just needed more. The display was in its own closed off room and we had to wait in line to go in and see the display. 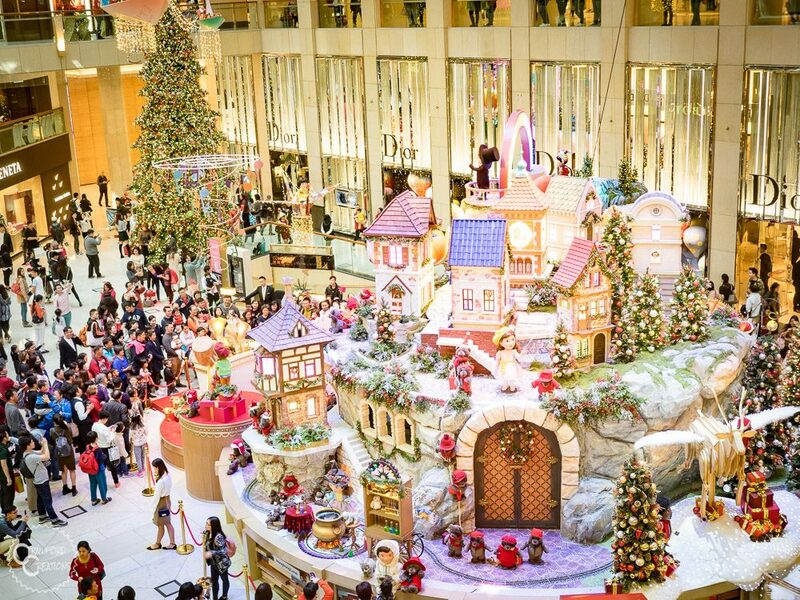 I guess when you wait in line for something like this you expect the wait to be worth it (considering all the other Christmas displays were free for alls) but it just wasn’t. Oh well, you never know till you go! 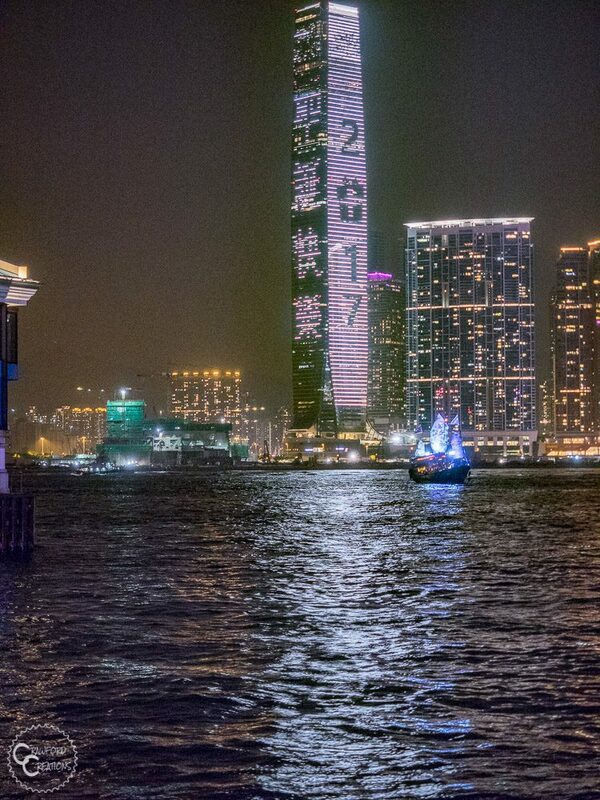 As cool as all the Christmas displays were, I have to admit, the Hong Kong waterfront at night on Christmas Eve was simply spectacular. 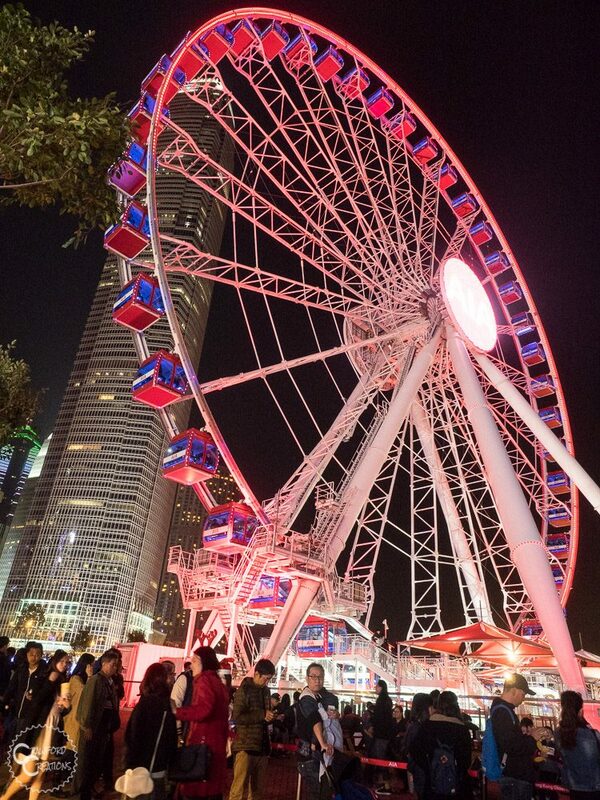 They had a Christmas themed light show, the Aqua Luna sailing around with red and green lights on her sails and a Merry Christmas message, buildings decked out in Christmas lights and seasons greetings, and a hoppin theme park set up next to the Ferris wheel. 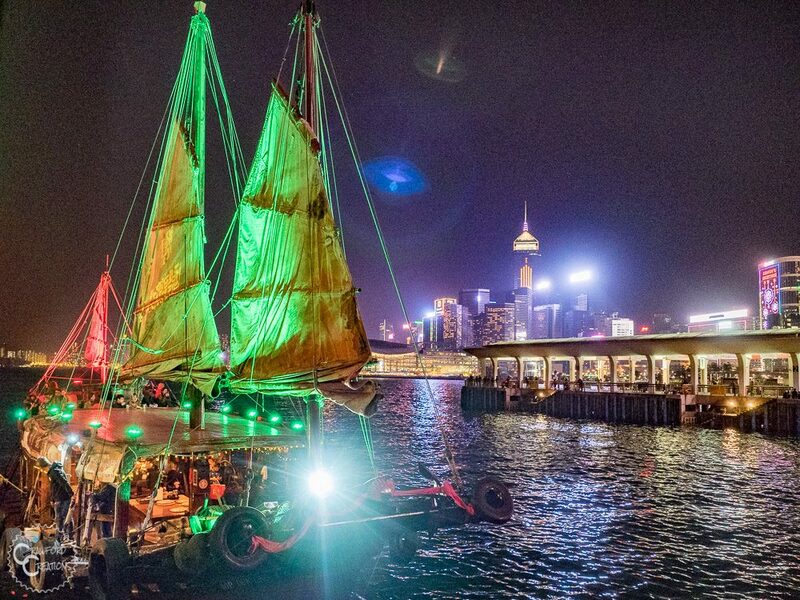 I would definitely recommend taking a harbor tour via the Aqua Luna or Star Ferry at night around Christmas time to get some really cool views of the waterfront Christmas lights from both sides of the harbor. 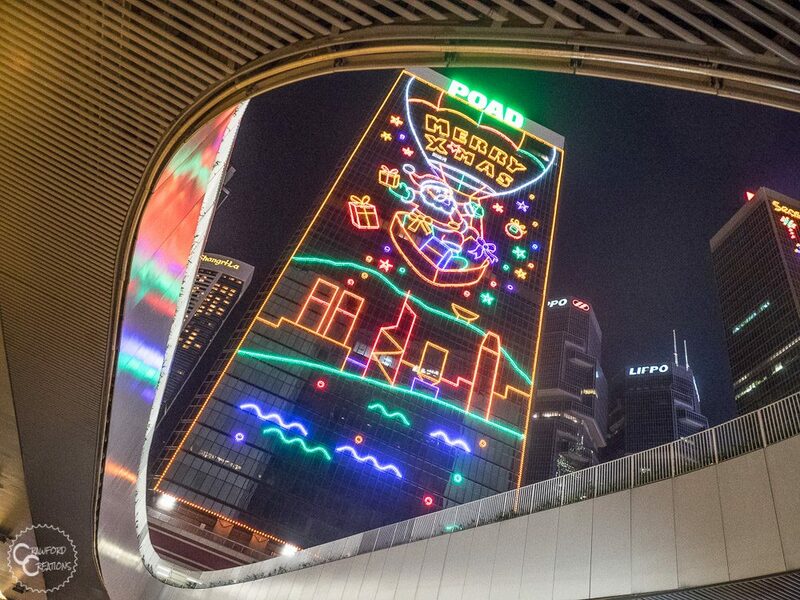 Another cool vantage point for viewing the building lights would, of course, be Victoria Peak or Kowloon Peak. 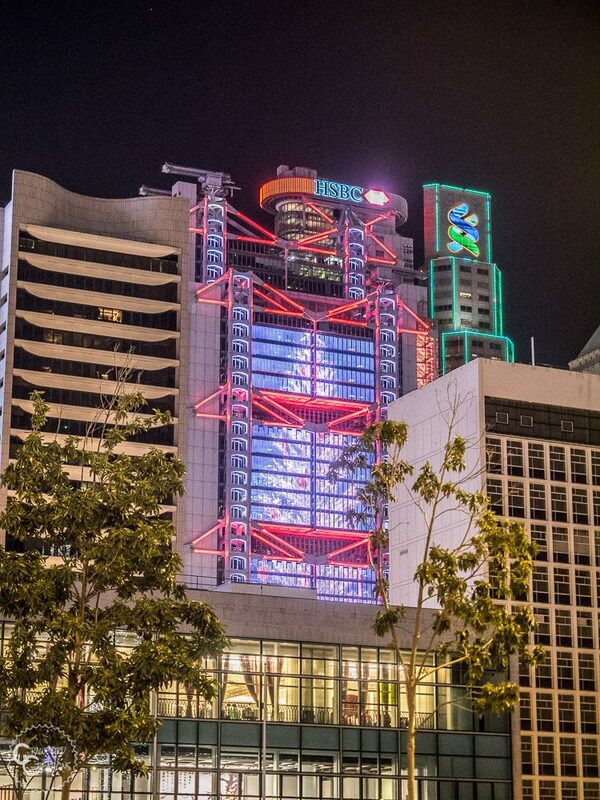 Hong Kong has some awesome resources available on the web that are updated constantly with all the latest events and happenings in the city. 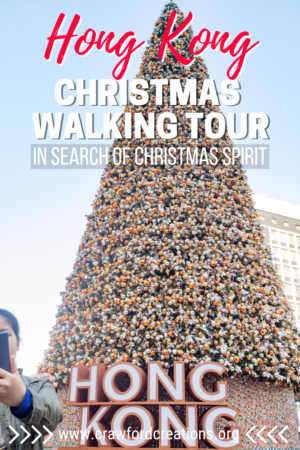 We used Hong Kong Traveller’s maps to find all the displays and lights on Hong Kong Island. There are more displays on Kowloon Island as well that are definitely worth checking out if you have more time than we did. 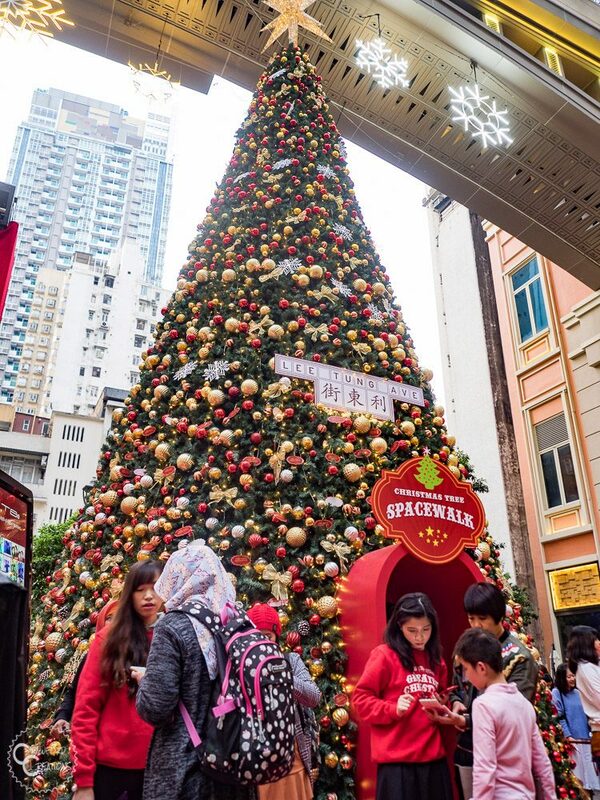 There’s also a lot more Christmas cheer to be had in Hong Kong other than the displays and lights. 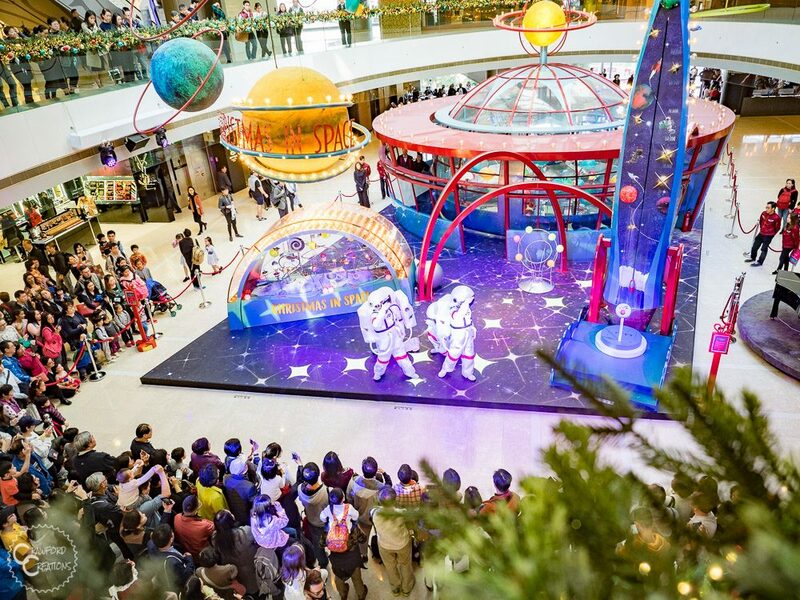 Hong Kong Disneyland is supposed to be awesome at Christmas, as is their Philharmonic Orchestra, and seasonal productions of The Nutcracker. 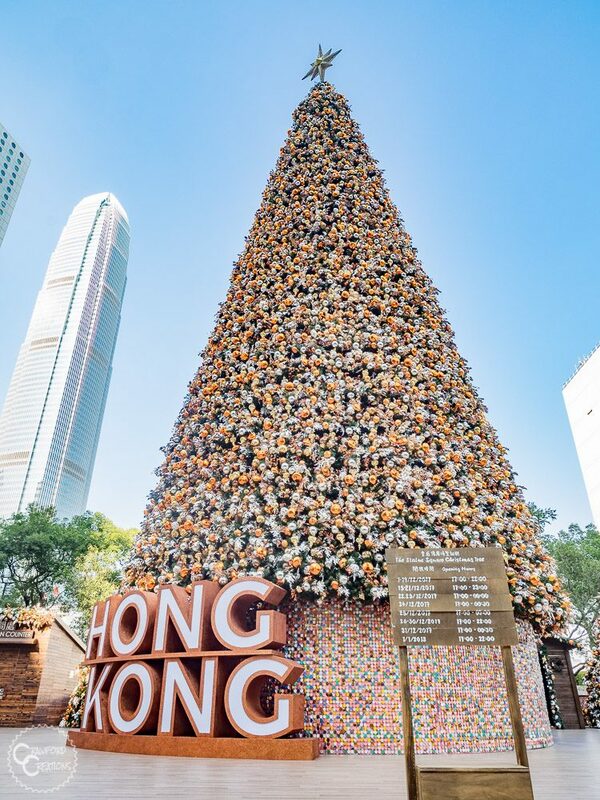 All in all, if you’re in Asia for Christmas and craving some Christmas spirit, we can definitely recommend getting your fix in Hong Kong. 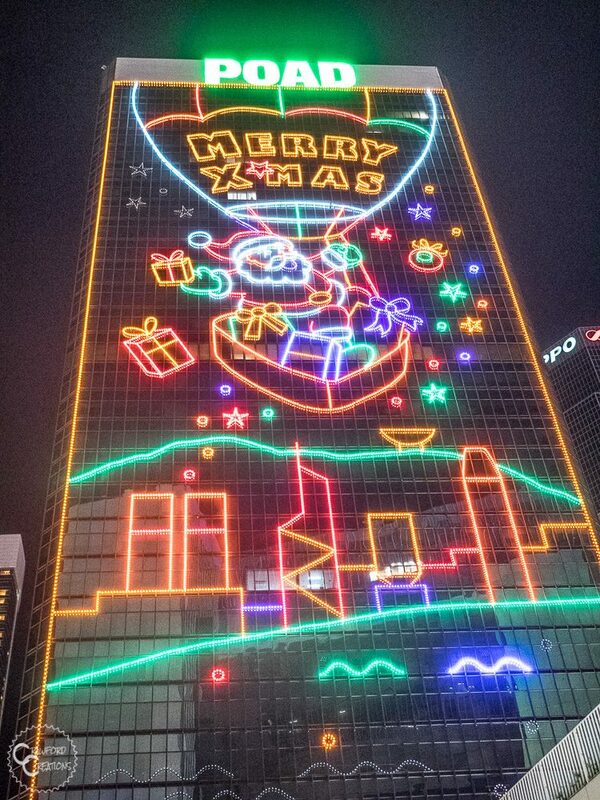 Hong Kong Christmas was the most beautiful, exciting, bright and happy Christmas displays I have ever seen. Awesome!! Unbelievable!! The show in the Landmark Atrium was very sci-fi… It looked like a place where a Nutcracker or Marionette show would be played on. 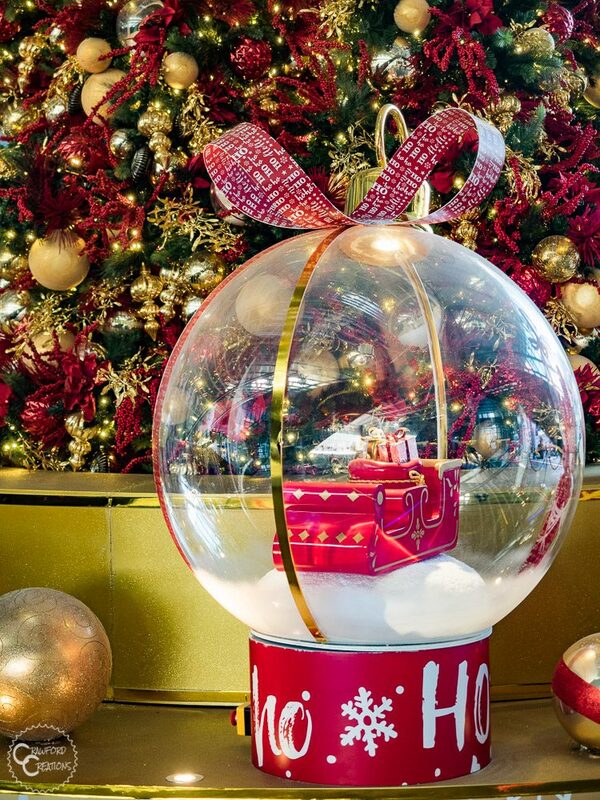 Great photos and it definitely looks like you enjoyed the holidays. It definitely looked like something out of the Nutcracker. We loved it! Hope you enjoyed the holidays as well!